Establishment Measures: LR 19 2009 - e succ. mod. e int. Alpi Marittime Park was created in 1995 from the union of Parco naturale dell'Argentera (established in 1980) with Riserva del Bosco e dei Laghi di Palanfré (established in 1979). The new and larger protected area covers a surface area of 28,455 hectares and includes three valleys (Gesso, Stura, Vermenagna) and five Municipalities (Aisone, Entracque, Roaschia, Valdieri, Vernante). 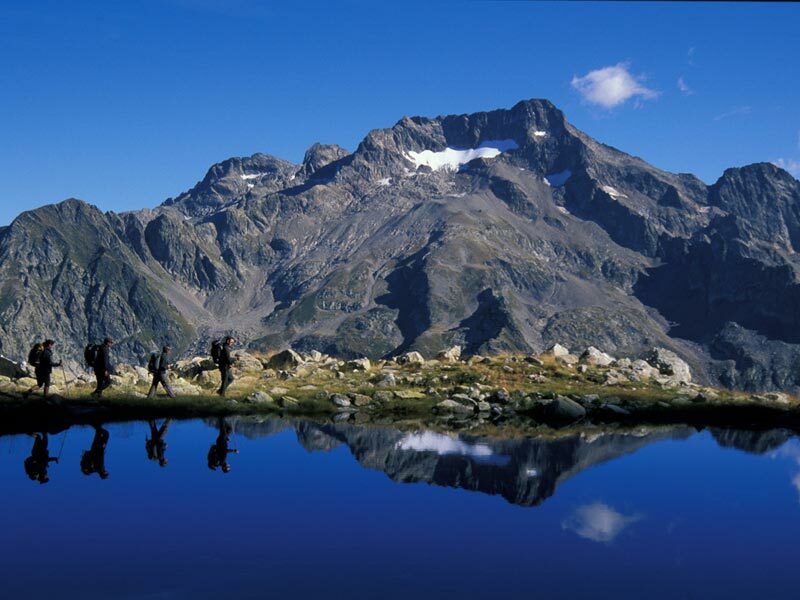 Alpi Marittime - the southernmost section of the Alpine chain - divide the Piedmont plain from the Nice coast, and they are situated between two important mountain passes: Colle di Tenda and Colle della Maddalena. Both sides of Alpi Marittime are protected areas: on the French side there is the Mercantour National Park, known all over the world for its Valley of Wonders, a site with thousands of rock engravings mainly dating back to the Bronze Age. Together the two Parks - whose common border is 35 km long - form a protected area of over 100 thousand hectares, which in the future could become the first International Park. To this aim, Marittime and Mercantour work together to a number of projects, and, after the twinning in 1987, they obtained the European Diploma in 1993, this is an important acknowledgement which has led to the elaboration of a common policy of territory protection and of economic development. 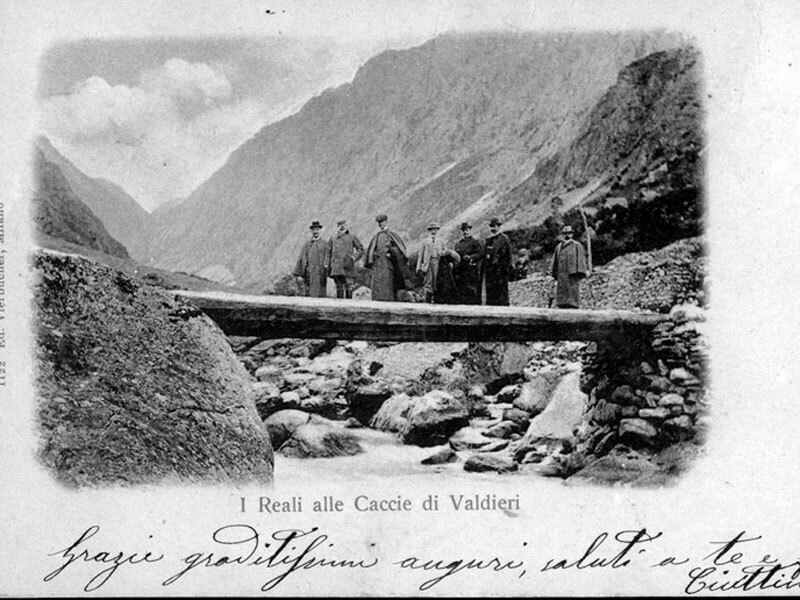 In 1855, during a visit to Valle Gesso and its Baths, King Vittorio Emanuele II was so impressed by the beauty of the mountains, their richness in chamois and trout, and wonderful vegetation that the mayors of the Municipalities of the upper valley decided to transfer the hunting and fishing rights over almost the whole territory to the Savoia family. As a consequence, the Royal Hunting Reserve was established, and the area could benefit from the presence of the royal family during the summer. The Savoia family built here, between 1865 and 1870, the summer residence in Sant'Anna di Valdieri, the hunting lodges in San Giacomo di Entracque and at Piano del Valasco, and at the thermal baths, four "Swiss style" chalets, one of which is still called "Casa della Bela Rosin" in memory of Rosa Vercellana, the commoner from whom Vittorio Emanuele II had two children. Thanks to the presence of the Royal family, the valley became a privileged destination for many politicians and European nobles and kings. This was advantageous to the local population who worked as game keepers and beaters, doing maintenance on the paths, in the kitchens and as maids, and in this way could integrate their meagre earnings. The elderly still have fond memories of the royal family, in particular of Queen Elena, the wife of Vittorio Emanuele III, who loved to fish in the streams and in Lago sottano della Sella when she was in Valle Gesso. 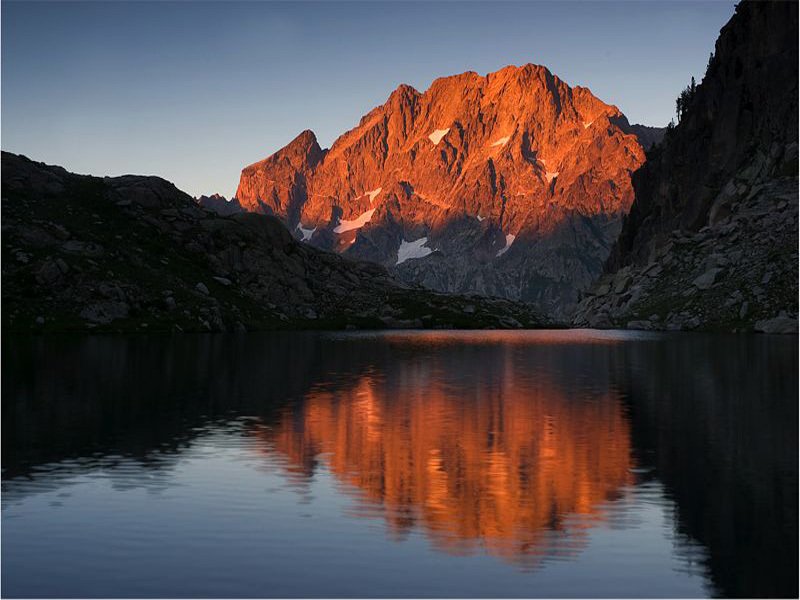 The Park high mountain landscape is characterized by the presence of more than eighty lakes. Each of these water stretches, where the surrounding summits reflect, has its particular features as far as shape, size, and color are concerned. Besides some very small and isolated lakes, such as the Valcuca and the Maledia, it is possible to find some very deep ones, like the Sella, which are particularly rich in fish. You can also find artificial lakes - like the big Piastra and Chiotas basins - which were built at the end of the 70s for the production of electric energy. Some of them are surrounded by fascinating legends, like the one regarding Vei del Bouc Lake, near San Giacomo di Entracque. 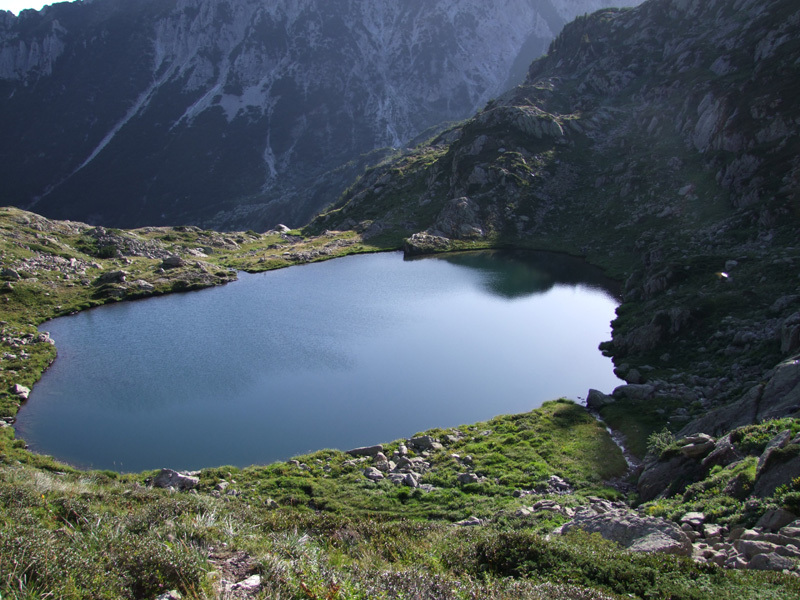 According to the tale, the lake formed in order to cover and protect the grave of an old man (vei, in the local dialect) who used to live there alone with a goat (bouc) in the mountains. When he died, the waters of the stream running at the bottom of the valley covered its grave by forming a big lake, so that no one would have violated the place. 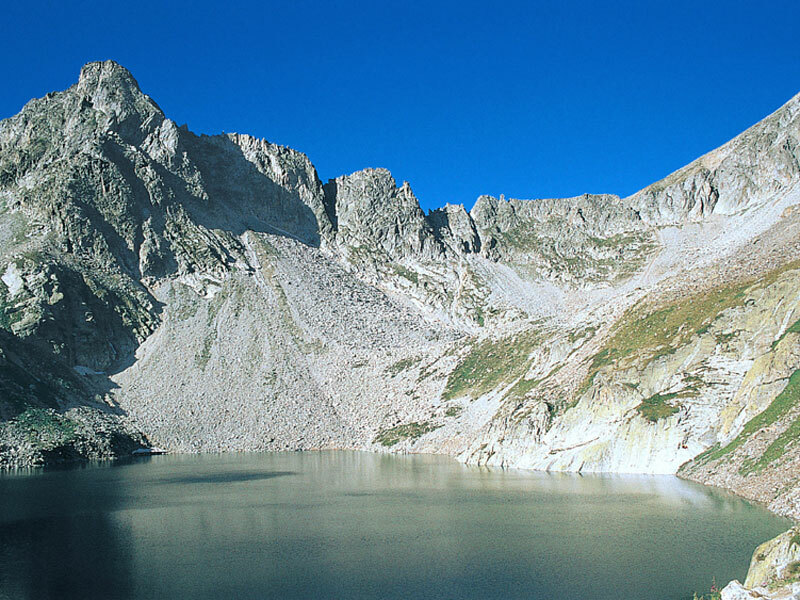 If you observe carefully, you will find out that most of the Park lakes have glacial origins. 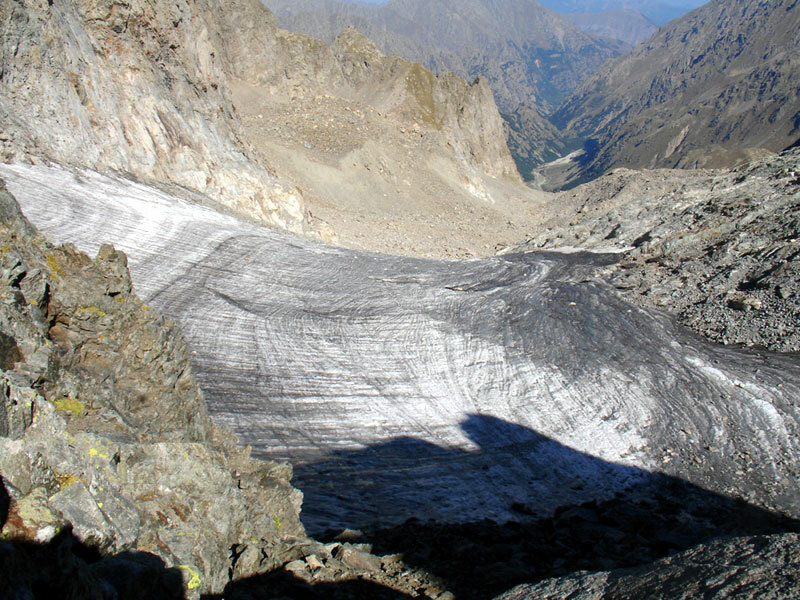 As a matter of fact, the glaciers of Marittime played a fundamental role in shaping the territory during the glaciations; nowadays their existence is threatened by climatic changes, since the Park includes the southernmost glaciers of the Alps: Monaco, the warmest location of the French Riviera, is just 45 km far from them. 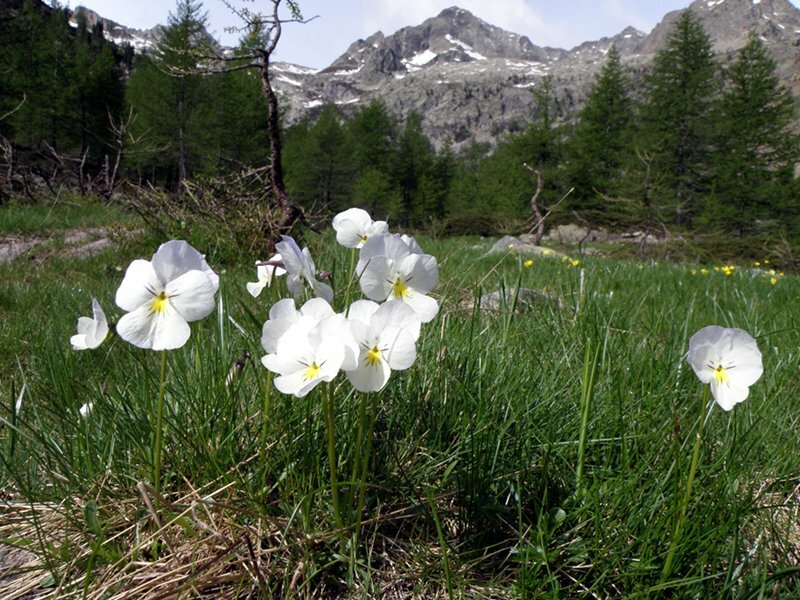 The area of Alpi Marittime is famous all over the world for its botanic richness. 2.600 species have been recorded here, almost the half of the species living in the whole Italian peninsula. 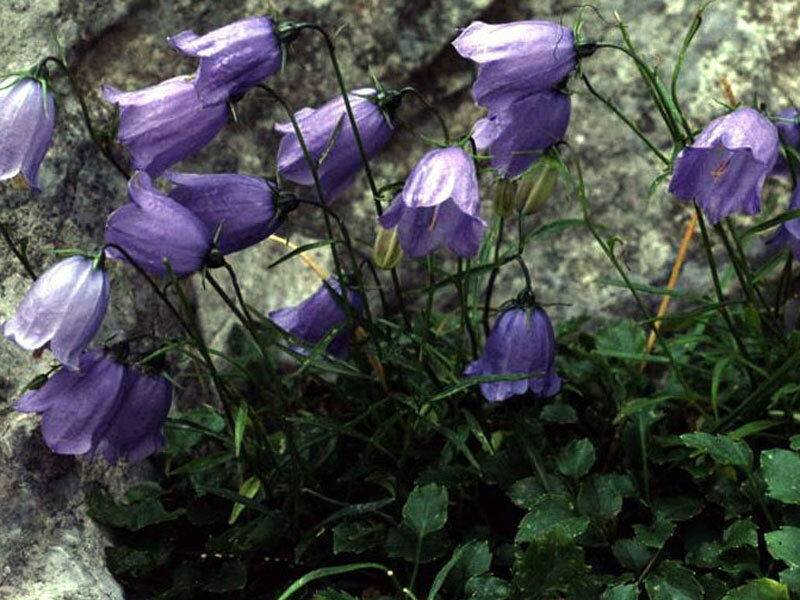 For example, 40 kinds of Orchids can be found in the Park, over 80 kinds recorded in Italy. The botanic richness of Alpi Marittime is given by their geographical position between the mountain systems of Piedmont, Liguria, and Provence, their proximity to the sea, and the presence of a number of peaks more than 3,000m high, among which Argentera, the roof of Marittime with its 3,297m. These particular conditions favour not only the presence of several species, but also the growth of a number of endemic species, that is species growing only in a specific area. Among the about 30 endemic species of Marittime, the most interesting one is Saxifraga florulenta: it takes 30 years to produce a pink inflorescence, and the plant dies immediately after its blooming. Saxifraga is a primitive and not very evolved plant surviving in Alpi Marittime because they were just marginally interested by glaciations. 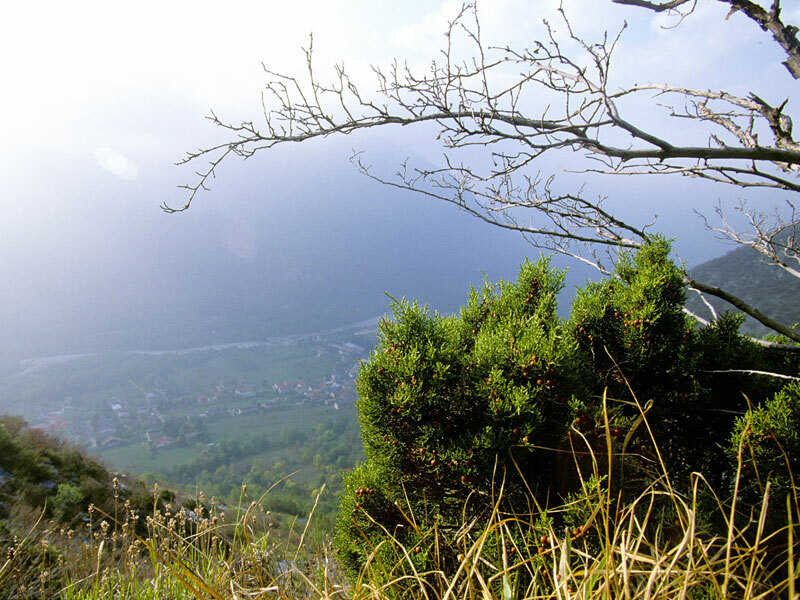 Only a few protected areas can boast of a wildlife richness like the one existing in Alpi Marittime Park. There are about 4,500 specimens of chamois, which can be easily seen especially in the morning and in the evening. If considered in relation to the surface, the population of this animal is one of the most widespread in the Alps. 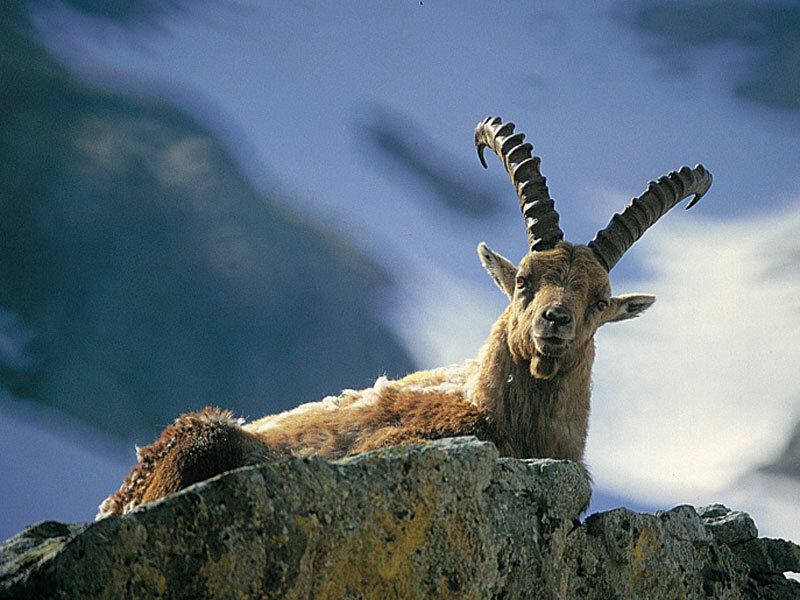 The ibex, reintroduced according to the will of Vittorio Emanuele III in the 1920s, is present with more than 500 specimens which can be close observed especially in spring. Other ungulates present in the Park are the roe deer and the wild goat: it is more difficult to sight them since they live in the wood. During the summer it is possible to meet the mouflons coming from the nearby Mercantour Park. 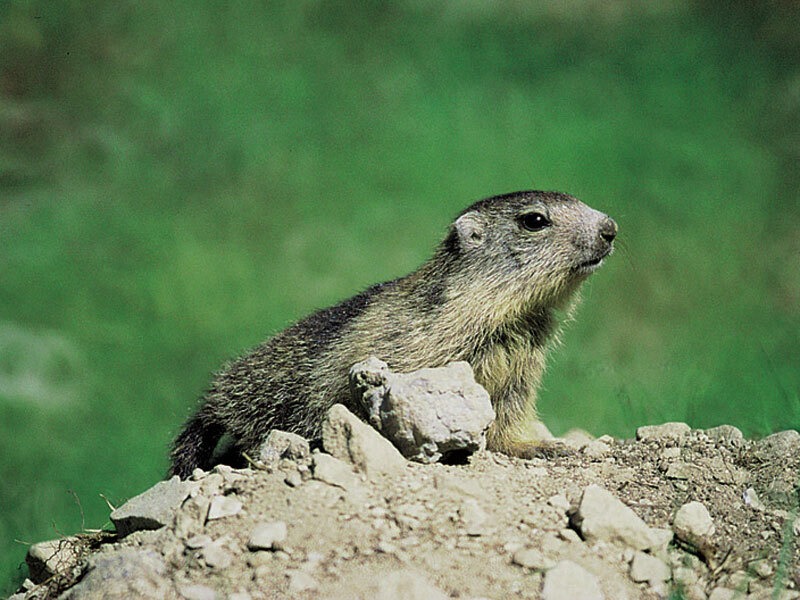 With its characteristic whistles and postures on the rocks, the marmot is one of the animals which wins everybody's liking, especially from children. The avifauna is extremely rich and varied, and it includes almost all the species characteristic of the Alpine chain, from the black grouse to the rock ptarmigan, and many migratory species. 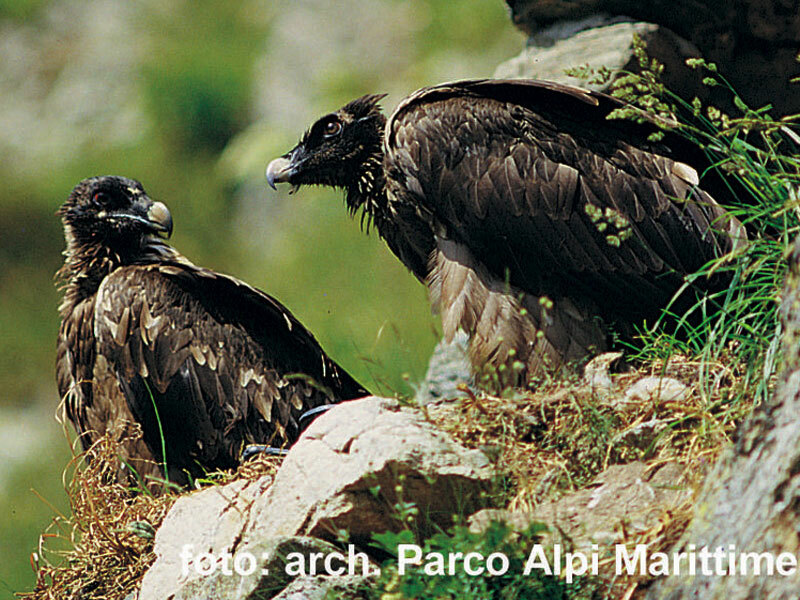 There are seven couples of golden eagles living in the Park together with many other birds of prey, like the Bearded Vulture which has come back to Alpi Marittime thanks to a European reintroduction project. On the contrary, the return of the wolf has been spontaneous. There are many kilometers of military roads, mule tracks, and paths running along the Park valleys. Several mule tracks, today "classic" hiking routes, were used in the past to reach the hunting grounds where the king and other hunters lied waiting for chamois which were pushed to the chosen places by a group of 200-300 beaters. The military roads were built before World War II along the routes of the ancient "salt roads" to link the bottom of the valleys with the barracks and the bunkers situated near the mountain passes. This tragic period left extraordinary evidences of a widespread network of trails and military roads, paved in many stretches, banked, dug into the rock, representing a real architectural jewel. The most relevant example is without a doubt the carriage road linking Piano del Valasco to Lago inferiore di Valscura with a gallery and going ahead to Lago delle Portette and the area of Fremamorta. 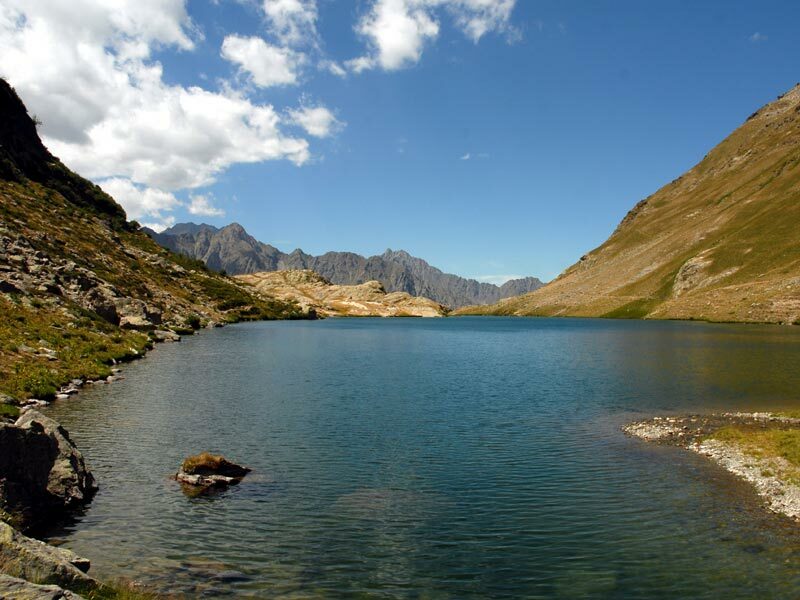 The Reserve is accessible only by going along Vallone Scumbes path climbing to Chiot la Crava and Cima Saben. In the rest of the territory, the access is not allowed in order to safeguard the different wildlife and vegetable species populating it, many of which rare and particularly fragile if disturbed by man. The path, which sometimes is difficult to follow, will undergo maintenance measures in order to make it entirely accessible and safe. 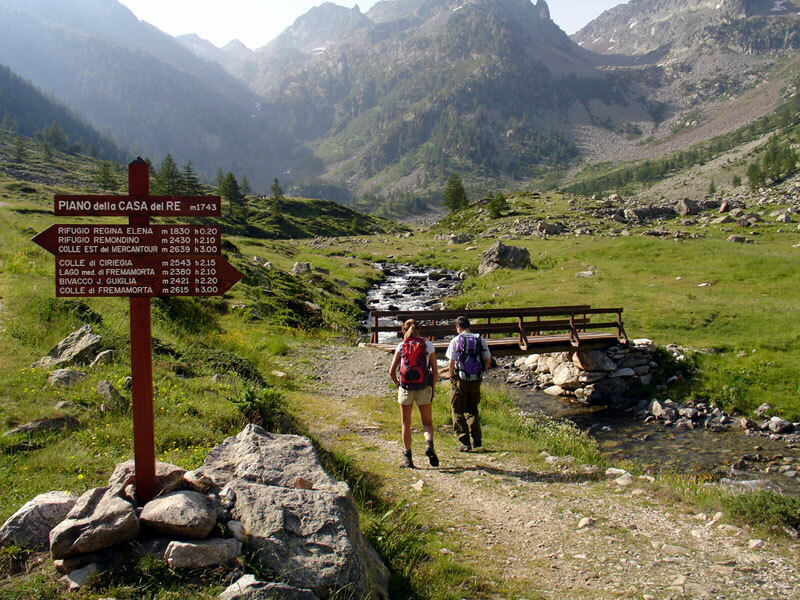 The road or path climbing from Valdieri to Madonna del Colletto Pass gives the opportunity to observe the morphological and landscape features of the Reserve. The carriage road you can go along by car or by bike is 6 km long. The naturalistic value of the area is represented by its richness in vegetation, which includes about 450 species, and among these a number of endemic species. This area is an important "shelter" for many species loving a warm climate (thermophile) and dry (xerophile). 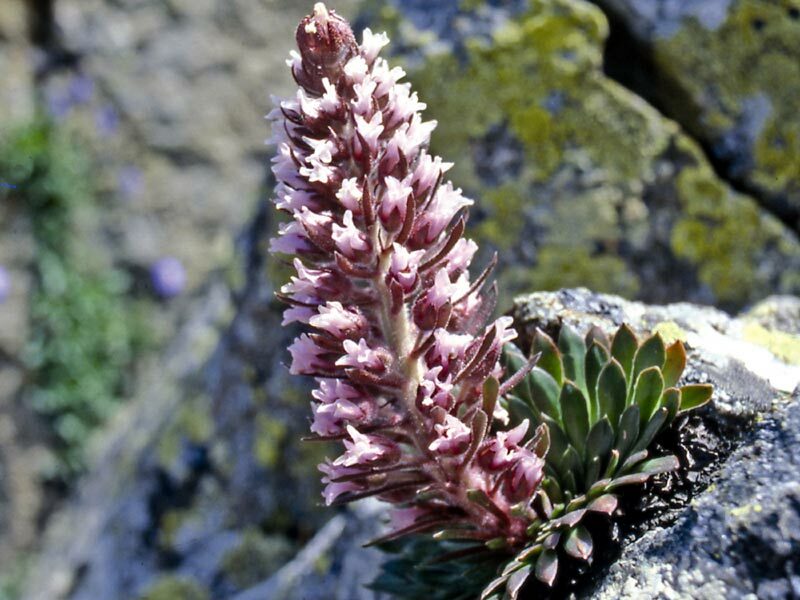 Many of these species are endemic species: Primula allionii (endemic species Alpi Marittime), Saxifraga lingulata (endemic species of the Western Alps), Campanula macrorrhiza (endemic species of Liguria-Provence), Teucrium lucidum (endemic species of the south-western Alps). The reserve is populated during the whole year by a great number of birds. Since the area is mainly rocky, many species are linked to such an environment: Alpine Swift, Crag Martin, Chough, Raven, Black Redstart, Wall Creeper, Kestrel, and Peregrine. Moreover, there are also several species nesting in the area or simply passing through. Despite the dryness of the reserve, you can often sight the chamois dividing the territory with another ungulate: the wild boar. Other mammals are: the weasel, the stone marten, the pine marten, and the fox. They are difficult to observe for their habits, but the traces they leave are an evidence of their presence. The entomological aspect is rather interesting, in particular for the presence of Polyergus rufescens, an ant which to feed makes slaves ants of different species Papilio alexanor, a butterfly with very lively colors, also lives in the Reserve. Papilio alexanor, a butterfly with very lively colors and close relative of the common Papilio macaon, also lives in the Reserve. The life of this butterfly depends on some plants of the Umbelliferae family, which have the function to feed the caterpillars. One of these plants is Ptychotis saxifraga, that is used by the species to lay eggs at the beginning of the summer. At the beginning of the year after, when the moulting is complete, from the cocoon a big and elegant butterfly comes out. Between the Tenda and the Maddalena Hills the last big castle made of crystalline rock in the Alps rises: the Maritime Alps. Point of contention of both the glaciers and the sea these mountains represent a "picturesque and wild region featuring both the supreme beauties of the Alps and the legendary charm of the Apennines. It appeals the climbers thanks to its attractive steep mounts and offers researchers and artists a wide view characterized by unexpected contrasts. 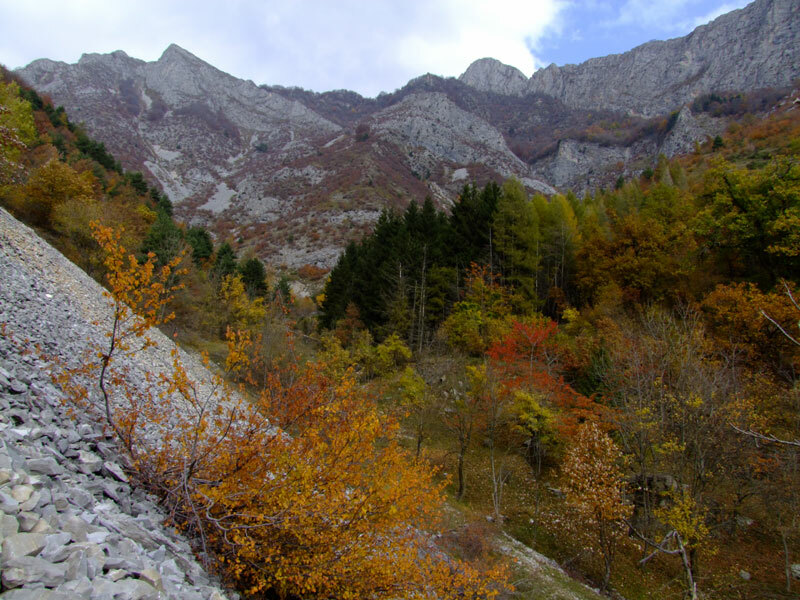 The Maritime Alps Park is situated in the southwestern Alps between the Mediterranean Sea and the Piedmontese plain. With more than twenty over-3,000-high summits, the Maritime Alps are characterized by narrow and deep valleys surrounded by steep slopes. The secret of these mountains' severe charm lies in their geological story written over thousand years by rocks and glaciers.